Chiesa del Purgatorio (San Lorenzo) is a lovely church located in the middle of the town. 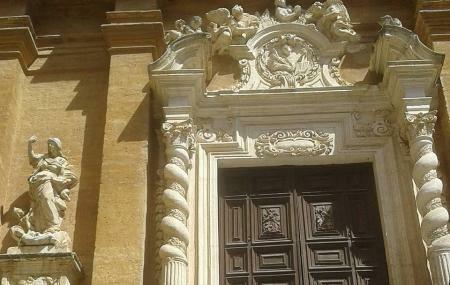 Like any other church of Agrigento, this too went through structural changes in the 17th and 18th centuries. It proudly exhibits exceptional Baroque designs. Currently, it is popular to host cultural activities and interactive exhibitions, usually based on the famous artist Van Gogh. The importance of art in this part of the world is so much and that is what each of these small monuments strive to portray. A must visit for any art enthusiast. Pre-booking is available. Please refer to the official website for details. How popular is Chiesa Del Purgatorio? People normally club together Santuario Di San Calogero and Kalos while planning their visit to Chiesa Del Purgatorio. This church is very gorgeous appearance but the internal is not special. You can just walk the main street and then you can see. Just a church, nothing so special there. Situated in Agrigento, around this place there is a lot of garbage, and nothing so much to see . Exquisite facade with impressive sculptural works, friendly staff and a beautiful interior.